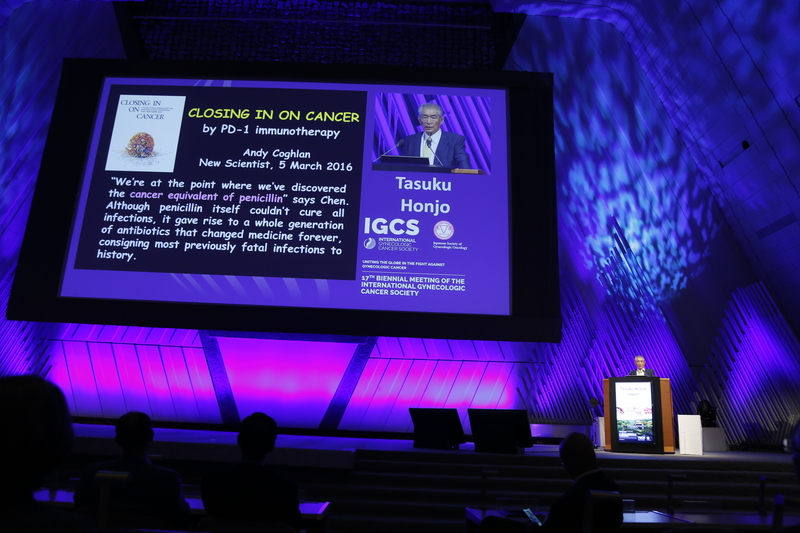 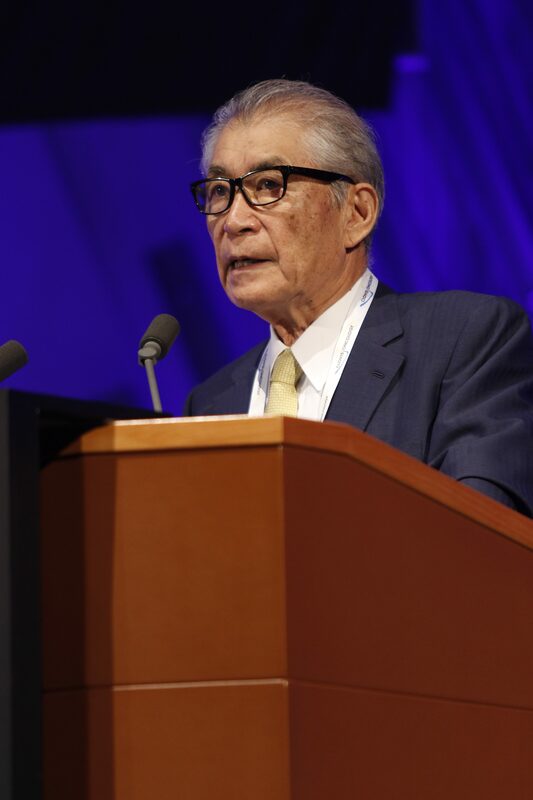 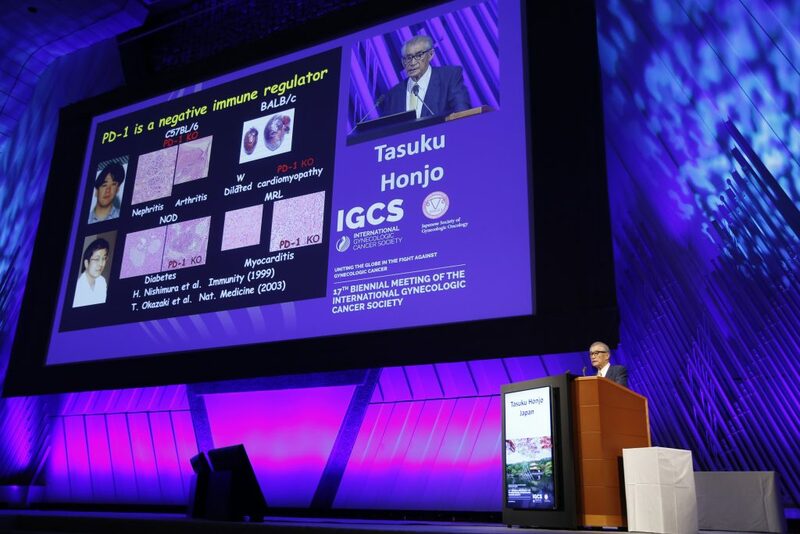 IGCS is honored to have had Professor Tasuku Honjo (Kyoto University) as the Presidential Plenary Lecture at the recent IGCS Biennial Meeting in Kyoto, Japan. In Prof. Honjo’s lecture “Future of Cancer Immunotherapy by PD-1 Blockade” he spoke about his work in discovering the T-cell protein, PD-1 acts as a brake on the immune system. 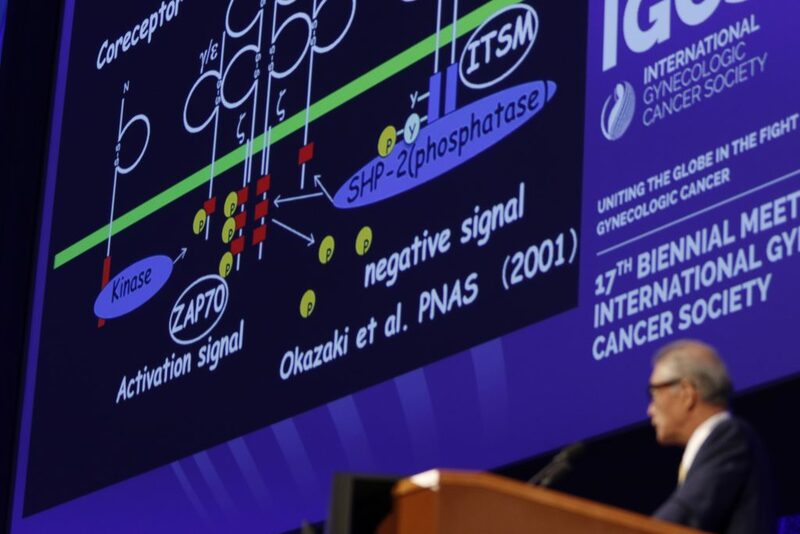 This discovery, as well as Professor James Allison’s (University of California) work with a ‘checkpoint’ protein, CTLA-4, have led to a new pillar in cancer therapy known as immune checkpoint therapy. Trials are now underway to evaluate the efficacy of checkpoint therapy against most types of cancer, and scientists are testing numerous other checkpoint proteins to see if they could act as targets. Photographs from Prof. Tasuku Honjo’s lecture at the IGCS Meeting held in Kyoto, Japan on Sept. 14, 2018.